Paper 5 1/2" x 8 1/2"
Four-color process printed on both sides of uncoated 80lb Bright White Felt stock. H1 business card slits on right pocket. 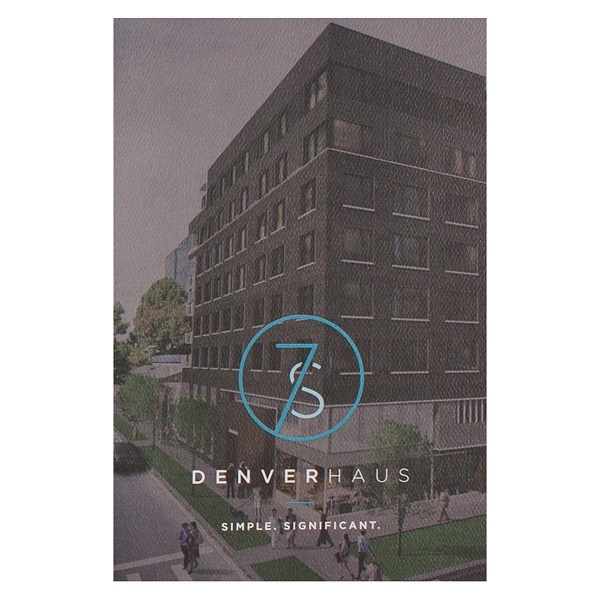 The teal 7/S logo stands out on the photo of a dark brown building, which showcases the 7/S Denver Haus location on a tree-lined street. Three interior panels intersperse photos of residents enjoying their living spaces between details about the apartment and its amenities. Info about parent brand Redpeak appears on the center panel where its red accents are sure to catch recipients' eyes. A circle on the back mimics the 7/S logo but is actually a map of its Denver neighborhood. Four-color process printed on both sides of uncoated 80lb Smooth White stock. H1 business card slits on right pocket. 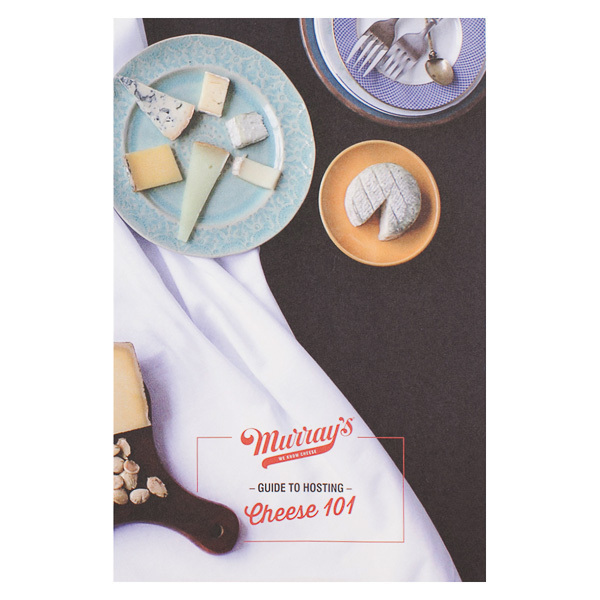 Murray's Cheese helps its dairy-loving clients learn the art of hosting cheese parties—with this design as their guide. Its cover photo showcases several ways to serve cheese, while the right outer panel greets guests and explains the basics. The left panel reveals the secrets to proper cutting techniques. On the center and right inner panels, recipients can read more and view a photo of the key types of cheese to have at any party. The back cover encourages those who want to learn more to join one of Murray's cheese courses and connect with the brand on social media. Four-color process printed on both sides of uncoated 80lb Eco White Smooth stock. H2 business card slits on right pocket. Swipely relies on color to create a cool, modern look worthy of a multi-million dollar software startup. On this tri-panel design, thin green lines accentuate the text, circling important information. One solid green panel ties the color scheme together and brings a bit of youthful attitude to round out the more professional, "grown-up" look of the white and blue panels. Like the green accents, the text itself connects each panel to the next. 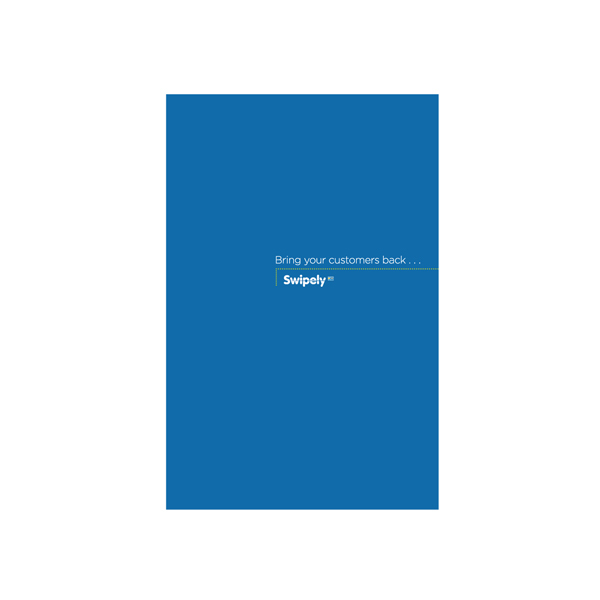 The slogan "Bring your customers back..." begins on the cover before continuing onto the left panel, a clever layout that entices recipients to open the cover and learn what the rest of the slogan says. Side 1 printed with 3 PMS colors using light coverage. Side 2 printed with 2 PMS colors using light coverage. 12pt C2S Semi-Gloss stock coated with Aqueous Gloss. H2 business card slits on right pocket. Raskin Global plays up its brand colors with a sharp line descending from white to royal blue, so the light color seems to illuminate the darker one. White boxes on blue interior panels highlight information about the financial planner. When viewing the open covers, recipients can see the white area on the front is actually part of a diagonal stripe connecting the brand name and a key passage of text on the back. Three panels give this mini product ample storage space for 5 1/2" x 8 1/2" print media, including letter-sized paper folded in half. Its single pocket is located on the right panel; this creates anticipation for customers, as this panel is last to be revealed when opening the design. The smaller panels make the product easy to carry and stow, perfect for that client who's always on the go. Its layout also affords you all the same opportunities for imprint methods, typography, and custom photography as its larger counterparts. Dimension Closed: 6" x 9"
Dimension Open: 17 7/8" x 9"